Join us for an intimate evening of music and havdallah in Mishkan's NEW office space (same building and floor, new unit!). 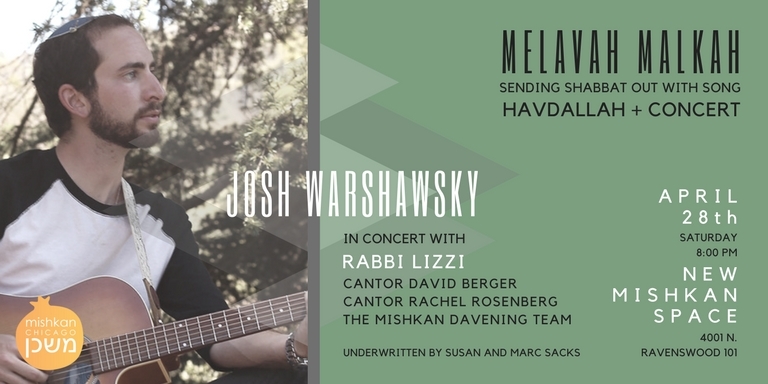 We're excited to welcome Josh Warshawsky in concert with Rabbi Lizzi, Cantors David Berger and Rachel Rosenberg, and the Mishkan Davening Team for this special night of song and melodies to soothe and inspire the soul. Grab your friends/partners/kids and RSVP.